Your little snowbunny will love these sweet Faux Fur and knit bunny mittens. 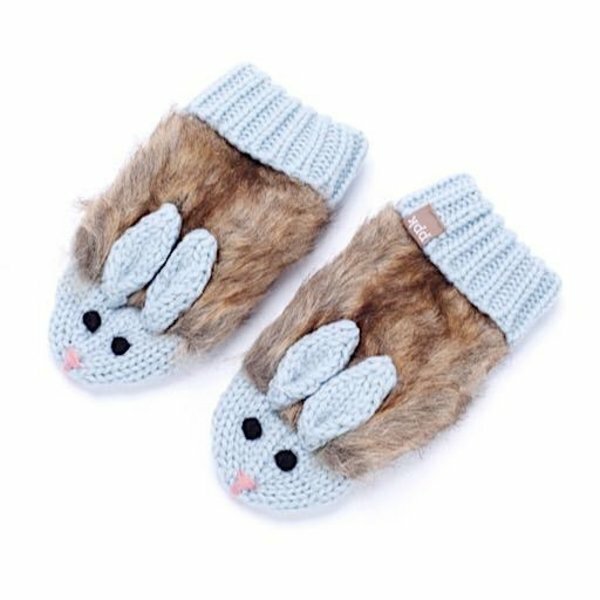 Cozy and fun for, these little hares are the perfect gift! 100% Acrylic Hand Wash Cold. Lay Flat Dry.